Sound art is an art form where the central element is sound. Sound art is not an independent genre or discipline – its a multidisciplinary art form, where the works of art in some ways or another circle around sound. Most of the time, sound is an important part of the pieces – but even the absence of sound can lead us in the direction of sound. At first glance, sound art might seem like a small niche, located somewhere in the borderlands between disciplines such as visual art and music. But sound art also provides us with an opportunity to look beyond the established art forms – simply by spreading our ears. It’s an invitation to listen, and to listening anew. To laugh, to wonder and to examine a world we thought we knew. Sound art offers a perspective, bringing the ears into focus. It’s a reminder: We live in a world surrounded by sound but don’t always notice it. 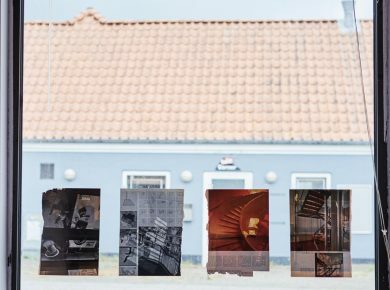 Ever since Bang & Olufsen was founded in Struer in 1925, the city has been the centre of a danish sound adventure, which today is a part of the DNA of the municipality. 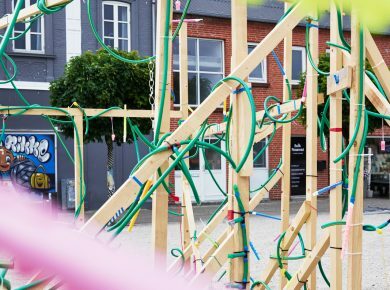 Because of this, Struer is an obvious location for a sound art festival – the provincial town has the ability to host projects with an international resonance. Struer Tracks was founded based on an initiative by the municipality of Struer, who in 2013 began branding the city as the City of Sound. 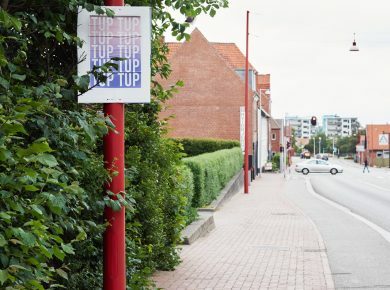 With a local roots and international relevance, this is the foundation on which Struer Tracks is developing art projects.